Christina Boettcher is executive assistant at First Light, serving as liaison to the firm’s CEO and providing support and management for all executive-level activities. Boettcher brings more than 25 years of experience as an executive assistant/chief of staff to First Light. 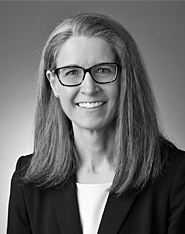 Before joining the firm, she was executive administrator to both the chief executive officer (CEO) and chief of staff for Blue Cross and Blue Shield of Minnesota. Prior to this position, Boettcher was executive assistant to the CEO for Star Exhibits and Environments, Inc. She also spent 13 years serving as chief of staff to the director of admissions at the University of Minnesota–Twin Cities, where she oversaw and managed operations across all units within the Office of Admissions. Boettcher graduated from the University of Minnesota–Twin Cities with a bachelor of arts degree in philosophy.